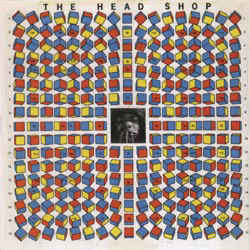 The Head Shop is one of those horribly out of print oddities that it's practically impossible to find information on. My basic impressions are that I can't really tell if this was a legitimate band, or one of those psychedelic exploitation albums. Basically, the playing is very much along the exploitative lines; my wife doesn't know much about psych but she pointed out that this music reminded her of The Zodiac's Cosmic Sounds. Still, there's a touch more of weird inspiration than the bulk of exploitation albums have. For some reason, a lot of this album also makes me think of the music from Jesus Christ Superstar - especially around the middle with tracks like "Listen With A Third Ear" and "Opera In The Year 4000." The best tracks here come near the beginning. "The Head Shop" is sort of a theme song for the scraggly remains of those who had tuned in and completely dropped out by 1969. A mirror universe Monkees' theme if you will. "Heaven Here We Come" is a nice mid-tempo heavy psych rocker, which also sounds like an outtake from the aforementioned Jesus Christ Superstar (I'm pretty familiar with that one as I joined a production of that musical a few years ago rockin' the cello down in the orchestra pit). At the end we find a few pretty wild and freaked out sounds with the total exploitation piece "Prophecy" and the echoing squealing sound effects of "Infinity." Unfortunately, a good half of this album sort of just patrols the line between psych rock and proto-heavy metal. There's nothing embarrassing, but also not a lot to make me sit up and give these guys my full attention. The sound quality is a little iffy, but this may not be the band's fault as all I've got are ripped from vinyl MP3s that may have gotten a little distorted in the transfer process. STill, I'm not holding my breath for a remastered reissue. For you psych rock junkies, there's more than enough here to warrant a spin or two. In fact, there very well may be a track or two here perfect for a homemade compilation (especially the first and last tracks), but I doubt the sounds of the Head Shop will stick with you for the long run. Many thanks. Ultra rare record for me. Thanks for this Great album - I LOVE it! !